This is a card I made for a guy who spends his days selling seed to farmers. I therefore thought the farm images were perfect for him. He also likes to fish and hunt, but I just sold all of those stamps because I tired of using them after fifteen years. 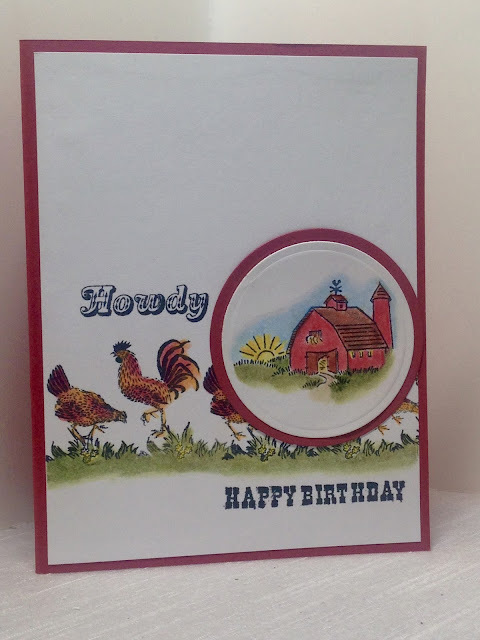 So when I came across this Crafty Secrets "Down on the Farm" set in my stash, it made sense to use them. I don't believe this set even saw ink before! 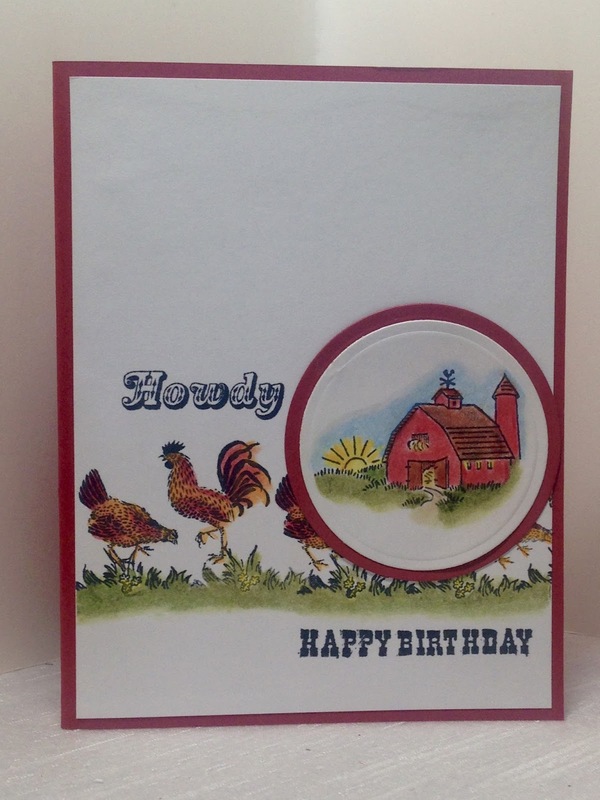 I stamped the little barn image on a separate sheet of card stock and cut out the circular shapes with a Spellbinder's Nestability Die. 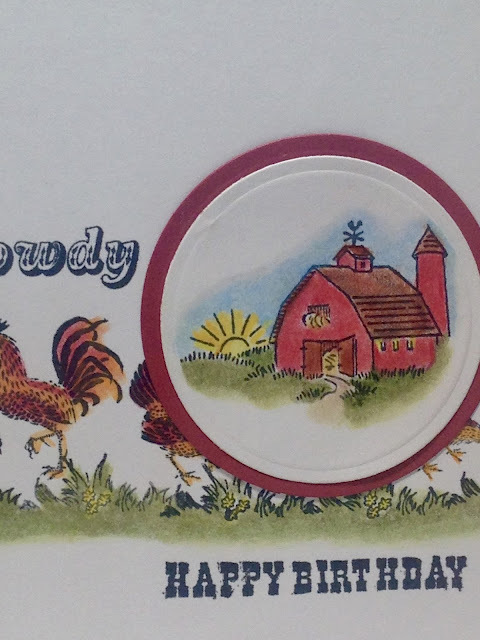 The chickens were then repeatedly stamped in a row across the white card stock base and colored in. Then I just glued the circular panel right over the row of hens. I finished the card off with two sentiments from the set and adhered the white card stock to a red card base. Fun stamp set and beautifully made card. Love the sketch! A Birthday Card for an All-Star! How to Make a Swag in Minutes!